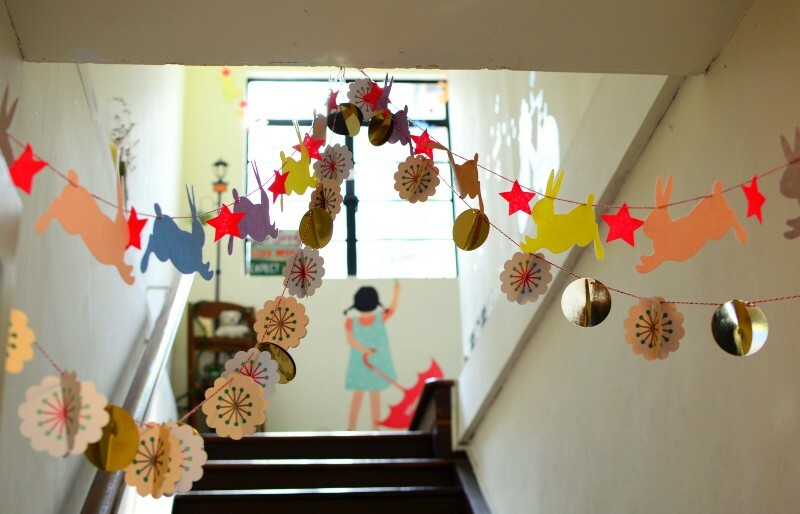 The end of the school year is a great time to try some new ideas. With summer approaching, we have time to reflect on methods used this year and to seek out new ideas and tools, to come up with creative and innovative methods and ways to welcome to students back in the fall. Hopefully these new activities will help to keep students more engaged in learning. Here are 5 ways to have students connect, collaborate and create. These are also helpful for building peer relationships and for reviewing content or assessing skills at the end of the year. These ideas can be no-tech or using something suggested by the students. 1) Random games or icebreaker style: There are tons of ways to create icebreakers, whether by using paper and pencil or even with digital tools. For example, with Buncee, Piktochart or Canva students can come up with four statements about themselves to share with classmates. These can be in the form of three truths and a lie, as a way to help students learn about their peers and for the teacher to learn about the students. It is beneficial for making connections with one another, finding things in common, but also to appreciate the different perspectives and backgrounds students bring into the classroom. It will be a great way to enhance communication and comfort in the classroom and also, if tech is used, to start teaching students alternative ways to present information. 2) Categories: Create a template with 4 or 5 different categories related to the content area and grade level being taught. After deciding on categories, select 5 or 6 letters of the alphabet, or use numbers, that students must use to come up with a word, topic or date, that ties into each category. Students can randomly be assigned to small groups and can then share what their group came up with. This activity will promote communication between peers and provide an opportunity for collaboration and some fun as well. It can also be a good way to have students review, be creative and brainstorm new ideas even. It will provide time for teachers to assess student needs and decide the next steps in the lesson, as we keep moving toward the summer break. 3) Word art: Students need different ways to practice the content and one way that helps some learners is through visual learning. Students can use vocabulary, verbs or any content material to generate word art. Students can create a word cloud using paper and marker or try using a digital tool like WordCloud, or WordItOut, or other similar word cloud generators available. After the word clouds are created, teachers can build on the learning potential by having students post their work in the classroom, having a gallery walk where other groups can discuss the terms, brainstorm new ideas, define or translate them (if a foreign language) and increase the authentic learning materials in the classroom. 4) Music: Music can really liven up the classroom and be useful for helping students remember the material. One idea is to have students create rhymes or a song using a vocabulary list, names of famous people, state or world capitals, monuments or anything related to the content area. Students can work in pairs or a small group and create a song which can be used as a mnemonic device, to help them retain the information in a more meaningful way. For presentation purposes, students can then have the choice of sharing live in class or perhaps trying a tool like Flipgrid or Recap to record and share with classmates. It can even be followed up by posting the video on a Padlet and encouraging students to comment in writing, or leave a reply on Flipgrid. These student creations will add to the authentic classroom resources and engage students more in learning. 5) Creating games: Students can create a game as a way to help themselves and their peers practice the material. It can be a game made up using paper or any materials the students decide on or created using one of the digital tools available like Kahoot, Quizlet or Quizizz. Students will have a more authentic learning experience when they select the specific vocabulary they need to practice, which will will give more personalized learning opportunities. In trying one or all of these activities, it presents an opportunity for the students to work together, to build their relationships, to collaborate and to engage in more authentic learning experiences. And it provides the teacher with an opportunity to step aside and become a facilitator, and to use the time as an opportunity to not only assess student learning but to interact more and provide feedback for students. There are many ways to practice the content material and engage students more in learning, these are just a few of the ideas that I have tried in my classroom this school year, and they are a work in progress. Knowing that something works takes reflection and student input, and one thing I have noticed in the few short weeks we have been in school, is that students are asking more questions and thinking of new ways to extend their learning. I have more time to move around and work with every student and provide more individualized instruction and really understand each student’s progress. Reading the words of John Dewey: “We do not learn from experience…We learn from reflecting on experience.”, I give myself constant reminders to be reflective in my practice. Reflecting led me to really evaluate some things in my classroom. A few weeks ago, I had a challenging week. Probably the most challenging week as far as behaviors, in several years. It came in the form of disrespectful behaviors, classroom disruptions whether it was students talking out loudly, exchanging words, or other similar interruptions. I really tried to work through these, with the students, patiently and with every possibly method I could think of. I wanted to push forward and in another post, I explain what happened, but for now, these are the lessons that I have learned. And this is how I reflected and did what I needed to do, to restore balance in my classroom. I am not one to yell in class, in fact, over the 21 years teaching in my current school, maybe there have been 7 or 8 times that I have really yelled. Whether that is good or bad, not going to decide, but I can say these were not the best reactions in my years of teaching. However they have led me to take time to really reflect and remember a couple of things. 1) I am the adult and my role is to provide a supportive, engaging place for students to learn, to feel welcome and to thrive. 2) I don’t always know what’s going on in the lives of the students beyond my classroom and so their behaviors may be a result of something happening throughout the day or in their home or social life. 3) I cannot know everything but if I don’t take the time to get to know something about them, that is doing them a disservice. I apologized to my class and to each of the students to whom I yelled, because I did not handle it well. I myself further disrupted the learning and had an effect or impact on not just that student, but on everyone in the classroom. So it was a trying week because I had to really take a hard look at myself and my responses to some situations that I could have handled differently. I could have handled them better. I should have. But I am very open about the fact that I am a work in progress, that I make mistakes and I will own my mistakes and grow from them. It took a few days for me to really shake off that negative energy and that is an awful feeling. But I did that myself, it was my choice to act, how to handle it and I definitely could have handled it better. I should have handled it better. A lesson learned, a new focus and a new reminder to think before acting and speaking. Practice patience, use kind words and show empathy. Teaching is hard sometimes. We can have lesson plans ready, very detailed objectives on the board, every material and activity ready for the students for the day, but one slight ripple ,one small interruption, can completely change the course of even the most perfect plans. Rita Pierson said “Every kid needs a champion” and even in her math class, when one of her students had missed 18 out of 20 questions on a test, she wrote a plus two. Why? She said because that looks better than a -18 and it tells the student “you got two right and are on your way”. It sends a positive message. We need to be the positive for the students. We may be the only positive they have each day. So avoid the negative, focus on relationships, reflection and constant growth. It starts with us and we make an impact, and we may never know how large of an impact we make, from the smallest interaction. So make every moment matter, because the students matter, and we need to be their champion. Even when they push back, push back harder with kindness. Thanks to Sylvia Duckworth for this amazing image. 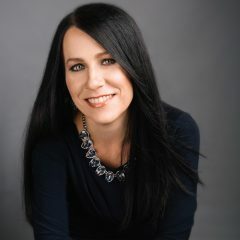 This is a post by Jacqueline Jensen, following our Blab interview talking edtech in the classroom. Thanks for this post and the opportunity Jacqueline and Piktochart! As Piktochart’s Community Evangelist, fostering community among our 5-million-strong user base is one of my primary goals. As I wrote after first joining, my role here on the Piktochart team focuses on interacting with our users at every level — from live events around the world and conference talks to jumping onto the latest up and coming social platform to chat with Piktochart users. So far, we’ve tried a number of new initiatives. We think it’s important to share valuable content with not only our user community, but with startups, designers, educators, and marketers all across the globe. When we tried out Blab, we picked an awesome guest and gathered community questions to chat about. Back in June, we went looking for educators to join us to discuss more about how to bring technology into the classroom. Education technology, also known simply as EdTech, refers to the creation and use of software and hardware intended to bring technology to education. This segment of the technology world has heated up thanks to investment from organizations like the Bill and Melinda Gates Foundation, the United States government, and even tech venture capital investment firms like Andreessen Horowitz. In fact, in just the first half of 2015, private investors alone poured $2.5 billion into EdTech companies — leading to the creation of countless technologies for classrooms around the world. Here at Piktochart, our team was thrilled to hear we were recently honored in the American Association of School Librarian’s 2016 Best Websites for Teaching and Learning. Educators have been using Piktochart in their classrooms since we launched in 2012, and we couldn’t be more pleased to know we are making a difference in the minds of students around the world. To get the skinny on what’s going on in classrooms when it comes to EdTech — from best practices and challenges to favorite tools and privacy policies — we brought in two Piktochart users who are making a big impact by bringing technology into their school. For the first time, we had two guests on our Blab,Rachelle Poth and Mary Ottenwess. Rachelle is a foreign language teacher at Riverview Junior-Senior High School in Oakmont, PA. She enjoys using technology in the classroom and finding ways for students to have more choices in their learning. She has presented at several technology conferences in Pennsylvania and at ISTE in Denver this past June. Mary has been in education for 25 years. She started out in a public high school library and is now the Instructional Technology Specialist at Catholic Central High School in Grand Rapids, MI. She was the one that didn’t step back when they asked for volunteers to run the computer lab and thus her adventures in EdTech began! What is your biggest pain point with your school’s current EdTech setup? Rachelle said her biggest complaint when it comes to EdTech tools, which is shared by other teachers she talks to, is the fact that things sometimes don’t go as planned with technology. Mary echoed Rachelle’s thoughts about technology being unpredictable. She also added that limited professional development time for teachers is another hurdle when it comes to her school’s EdTech setup. “As a workaround for time, we have teachers create tutorials to view prior to the professional development sessions,” noted K-12 EdTech coordinatorCourtney Kofeldt in the chat. What opportunities are given to kids through EdTech and how can teachers learn to embrace them? Mary said EdTech really expands a student’s world. They can collaborate and share with not only each other, but with experts in the field. Students can use project-based learning and inquiry-learning, and they can use and develop real-world skills for college or a career. For teachers, Mary thinks technology makes things simpler. Rachelle agreed. She believes the opportunities provided by technology are tremendous. When given a choice of tools to utilize on their projects, Rachelle finds students talk to their friends about the learning curve of each software. Students work together, collaborate, and learn from each other about how to use technology. What’s the best thing technology has allowed you to do in your school that you couldn’t have done otherwise? Mary shared an example from her school, Catholic Central High School in Grand Rapids, MI. Using technology, a French teacher was able to bring in a video feed from a classroom in Canada. The American students communicate in French to sharpen their skills, and they’re also able to learn more about the other students culturally. Rachelle says that technology has allowed her to continue the conversation with students after class time ends. 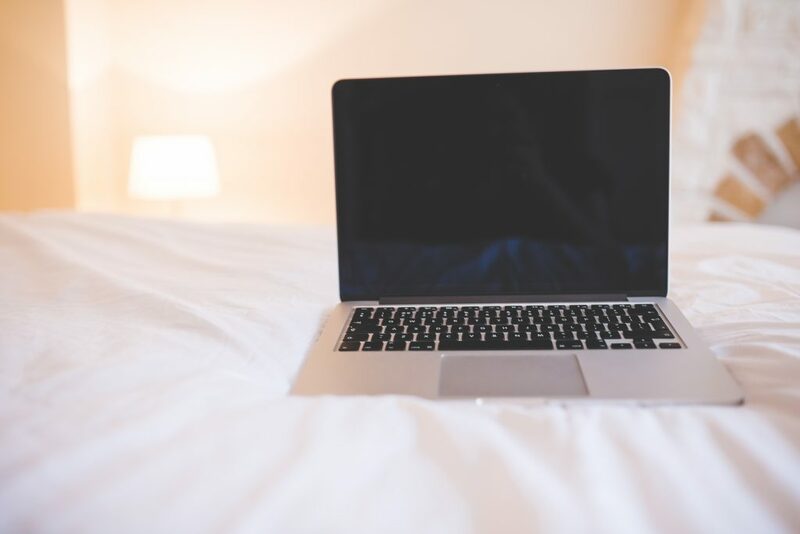 She found more and more that her students had questions once they got home and started working on their homework or projects, and technology allowed her to be available to them during those key moments. Do you as the teacher (or your school) assess the privacy and security of a tool before letting students try it? Rachelle said she pays close attention to privacy and security settings before bringing a tool into the classroom. She does this by creating an account on her own and reviewing the settings herself. Rachelle also sends home a notice to parents at the beginning of the year informing them of the tools that will be used in the classroom. EdCamp, an organic, participant-driven professional learning experience led by a community created by educators, for educators. Mary added that her school has a tech team on staff who will verify security before launching a new tool in the classroom. First, they start with a pilot program and monitor progress while the new EdTech tool is being tested in the classroom. During that pilot, they will be on the lookout for glitches or security holes. Which tool/platform/methodology has been the biggest hit in your classroom and why? What are 3 most important skills kids have gained in your classroom thanks to technology? Everyone agreed that more collaboration and creativity is taking place in the classroom thanks to technology. “I have noticed students really develop the 6C’s — Communication, Collaboration, Critical Thinking, Creativity, Character, and Citizenship — when tech is integrated,” said Courtney Kofeldt in the chat. Rachelle added she often notices that projects from her students go above and beyond her expectations. “Technology gives them that voice to speak out and be part of something when otherwise they wouldn’t have been,” she said. Mary says teachers have benefitted from technology as a way to improve their skills, too. She notices more collaboration happening between teachers and growth of their professional networks thanks to technology making it easier to work together. Mary also touched on her school’s Digital Citizenship Course, which is an ever-changing movement to educate students on the proper use of technology — when to use it (or leave it behind) and best practices. “I teach motion graphics at UCLA, and it is wonderful to see what the students create once they understand the tools,” added Eric Rosner in the chat. How can teachers improve their tech skills in order to make classes more interactive and multimedia oriented? She suggested teachers consider learning new tools alongside students. Rather than a teacher-driven project, why not try a student-driven project? She found her students enjoy it, and as a teacher, it keeps her fresh. Use the challenge of a new tool as a learning lesson for both the students and the educator. Mary advised teachers to expand their professional network to get to know other educators. Social channels are a great way to do this — and Mary specifically suggested getting involved in Twitter chats. For a comprehensive list of Twitter chats all about education, check out this list Mary shared with us on the Blab! What are your recommendations for someone who is just starting to use technology in the classroom, and may be a bit hesitant? Rachelle suggested focusing on one area in your classroom you can try to improve using technology. Give a new EdTech tool a shot, use it minimally, and be patient with getting comfortable with it. Mary suggested finding another educator who is using technology you’d like to try and simply watching them use the tool in their classroom. Finding a tech mentor is key to getting comfortable! How can tech help all students to be engaged, to reach each student? If students are on different levels, Mary said EdTech tools can help bridge that gap. She particularly likes Khan Academy for this purpose. She also suggested putting up a rubric for an assignment, but allowing students to choose their technology tool to complete the project. 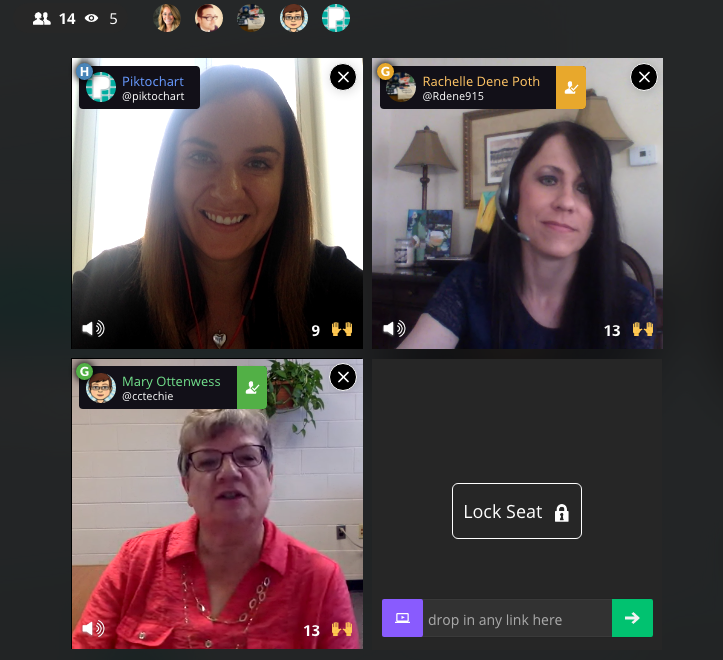 The team at Piktochart had a blast during our Blab with Rachelle Poth and Mary Ottenwess! Thanks to both of them for stopping by! If you’re interested in learning more about how Piktochart can help out in your classroom, check out a few more of our EdTech posts! This post originally appeared on Piktochart’s blog here.